This issue’s American Eye belongs to Amy Anzel, actress, performer and theatrical producer now living in London with her British husband, whom she met and married after a fairytale romance. Amy recently featured in Channel 4’s ‘The Sound of Musicals’ talking about her dreams, struggles and sheer determination to produce ‘Happy Days’, a musical based on the hit 1970’s American television show. Judith Schrut spoke with Amy over English tea and American oatmeal cookies ahead of the UK premiere and national tour of ‘Happy Days’. You were born and raised in New York. What brought you to Britain? I’ve loved performing since I was little and always knew I wanted to work in this profession. After university and community theatre work in different cities and countries, I had returned to New York where between roles and auditions I did a variety of jobs– including working at a club for classic car enthusiasts, music TV producing and as a flight attendant for a business airline. Long story short, on one of the airline’s flight layovers in London, chance events and a lovely friend’s astute matchmaking led me to meet and fall in love with my now-husband Oliver, who is Scottish. We’ve made London our home. Who are the biggest inspirations in your life and your career? I know it’s a bit of a cliché to say one’s family has been inspirational, but my mother has always been extremely supportive with a great work ethic and tremendous determination as well. My husband is inspirational as he is so hard working, clever and keeps everything in perspective. During difficult times and challenges, it’s especially important to surround yourself with such inspirational people. I’m also inspired by people in the entertainment business who are multihyphenates. People like George Clooney and Brad Pitt, who have risen above being pigeonholed in the industry and are producers, actors and writers. What is it about ‘Happy Days the Musical’ that you think audiences will find most enjoyable? I think audiences will love the nostalgic feel-good element. For many, these are difficult and complicated times to live in, so to forget your troubles and escape to a simpler time is really appealing. It’s a fun show full of fantastic music, incredible dancing and a lovely story about family and relationships that all of us can relate to. And then of course there’s that theme song – I guarantee after seeing the show you won’t be able to get that song out of your head for a long time! What’s top of your favourite things to do in the UK when you’re not working? Seeing theatre! There is so much great theatre here. I could go to a show every night and be so happy, and see something new. What attraction would you advise Americans in Britain to be sure not to miss? Apart from all those great shows, Americans should not miss London’s Hop on, Hop off Bus Tour. It’s one of my favourites. As well as being really informative and giving you a bird’s eye view of all the major London sights and neighbourhoods, you can spend as little or as much time as you want at each place and familiarise yourself with the city. It’s also terrific value as your ticket is good for 24 hours. Definitely an expensive indulgence for special occasions is afternoon tea at Browns Hotel, with its beautiful and comfortable surroundings, lovely staff who never rush you and unlimited refills of everything! Are there any American comforts you really miss? I do miss American style customer service, pizza by the slice and conveniences like being able to order take-outs any time of the day or night. Any thoughts about what you’d like to do next? I’d love to bring ‘Happy Days’ to the West End and then tour it internationally. Here at American in Britain we are always keen to promote British-American relations– whom would you like to join you at your fantasy cross-country dinner party? Along with my husband, my perfect dinner party would include Simon Cowell, Stephen Sondheim, George Gershwin, Andrew Carnegie and (theatre producers) Nica Burns and Sir Cameron Mackintosh. I’d hire a great three piece band and serve a casual feast of Mediterranean food – which I’d have to order in as I don’t really cook so well! 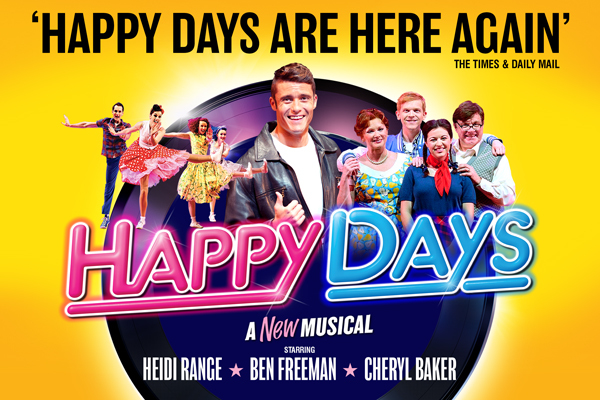 You can see “Happy Days the Musical’ at the Cambridge Corn Exchange, Birmingham Hippodrome, Orchard Theatre, Dartford and other leading theatres across the UK this spring and summer. For tickets and further information visit www.happydaysthemusical.com. Photo: Amy Anzel and Henry Winkler, the original Fonz in Happy Days, photo by Marika Player. We all love spring for its fresh and the first sign of good weather. The chirping of birds, flourishing of flowers, refreshing fragrance fills our heart with peace and joy. 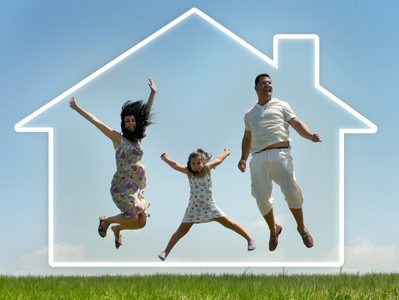 But to enjoy that feeling, we have to spend some time on cleanliness and hygiene, to make your house get freshen up and get a head start on the seasons of spring and summer. Our superb and easy to use springs cleaning tip will help you make your house keeping workload not felt at all. You will get to know how to clean anything you have at home and I hope you will enjoy browsing our tips. For cleaning interior walls you would need Wall cleaner, mix 1/2 c. ammonia, 1/4 c. white vinegar, and 1/4 c. baking soda to 1 gal. warm water. If you have a textured walls use nylon socks instead of a sponge or cloth to avoid leaving material chunks behind. You can tie a dust cloth over your broom and work from the top down, to dust wall paper. If you have naughty kids, who have filled non-washable papers with pencil marks and drawings with other non-greasy spots, use an art-gum eraser t remove that. You can also remove remove greasy spots or crayon by applying a paste of cleaning fluid and fuller’s earth and cornstarch. Let the wall dry and brush off residue. Repeat the treatment until the spot is gone. For exterior walls Use a water hose to spray the outside of your house. This will remove siding cobwebs and dirt. If you have textured siding, attach a car-washing brush to the hose to remove dirt. You can make your own spray cleaner. Its easy. Fill a spray bottle with 3 tablespoons ammonia, 1 tablespoon vinegar & the remainder with water. After that Dust blinds by wrapping a cloth around a ruler. Spray cloth with a dusting spray and run the flat end across each blind. After that shine the windows using an old newspaper. To avoid streaks, clean windows on an average temperature, preferably on a cloudy day. Dry windows outside in one direction then inside in the other direction so that If you see a streak, you will know which side is the mistake. To clean window sills, pour diluted rubbing alcohol on a cloth and rub the entire surface. Then dust off the sill with a clean cloth. If the bathroom mirror is not clean, to remove the dull haze, rub alcohol on the surface. Rubbing alcohol can remove the dull haze from mirrors. Rubbing alcohols also removes spots from bathroom fixtures. But for having a sparkling Glass shower doors, clean it with white vinegar. If the shower is dirty then use a solution of 1/2 cup vinegar, 1 cup ammonia, and 1/4 cup baking soda added to one gallon of warm water to clean it. Water spots on metal frames are a great pain in the bathroom. To clean those use the Lemon furniture oil. Rusty tile marks can be removed with kerosene. Running the shower on hot for five minutes will steam the dirt loose. To clean Grout Wash with 2 tablespoons chlorine bleach in one quart of water. Dry thoroughly, and then apply Several coats of lemon oil. Let dry one hour between coats. Dull walls will shine when washed with vinegar and water and polished with a dry cloth. Lighter fluid will remove most stains from porcelain sinks and bathtubs. Remove stubborn water spots from a stainless sink with a cloth dampened with rubbing alcohol. These spots can be removed with vinegar. If the stainless steel is rusty then rub stainless steel sinks with lighter fluid. For a sparkling white porcelain sink, place paper towels across the bottom of your sink and saturate with house hold bleach. Let it rinse for 3 min.Be careful and donot use bleach in colored sinks. To fight with refrigerator odor keep an open box of baking soda. It will absorb odors for a month or so. Can also use a few drops vanilla extract on a piece of cotton placed in the refrigerator. This will eliminate odors. Wipe refrigerator with vinegar to prevent mildew and Use your vacuum on the front of the coils and motor to remove dust and dirt from the refrigerator. Yellowing of white appliances is a perennial problem. To stop that mix 1/2 cup bleach, 1/4 cup baking soda and 4 cups of warm water. Apply with a sponge & keep for 10 minutes. After that rinse & dry thoroughly. You can also use car wax to wax large appliances and make them shine. You can also use it to remove small scratches as well. You can make your own floor cleaner. It is very easy to make. Make a solution of 1/2 cup of white vinegar in 1 gallon of warm water. Damp mop with a mop squeezed nearly dry. It is safer to mist the mop with the cleaner than to apply to floor. Do a section at a time and throw an old towel on the floor and scoot back and forth with foot to dry and prevent streaks. Standing liquid from mopping, spills, and pet accidents can damage floors. The greatest damage done to wood floors is from grit. Mats at doors are necessary to collect grit and it’s important to keep these clean. Frequent dust mopping in high traffic areas to collect grit is the best prevention. This should be done based on the amount of traffic, which may require dust mopping several times a day in an active household. The brush attachment of a vacuum can be used (no beater bars). Felt and furniture protectors should be installed on furniture. Never scoot furniture on wood. Put a piece of waxed paper under your dust mop. Dirt will stick to the mop and the wax will shine your floors. To clean dry spots, loosen soil and vacuum away prior to moistening it. When taking out stains, always use a white cloth. If you have dropped Wax on carpet or upholstery and want to clean it then set a clean, absorbent cloth over the wax stain and hold a hot iron on it. Then remove the cloth. Coat mildly greasy stains with aerosol shaving cream, use a hair dryer to speed dry. Then vacuum. Sprinkle a greasy stain with baking soda, cornstarch or talcum powder. Leave on at least 8 hours, and then vacuum. The works done. Apply these simple and effective tips and have a happy spring! !